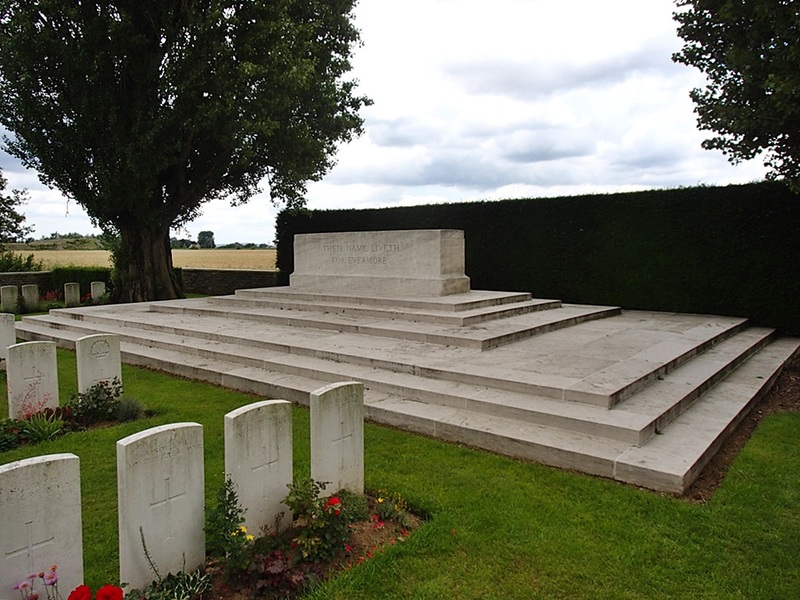 Fleurbaix is a village about 5 kilometres south-west of Armentieres. 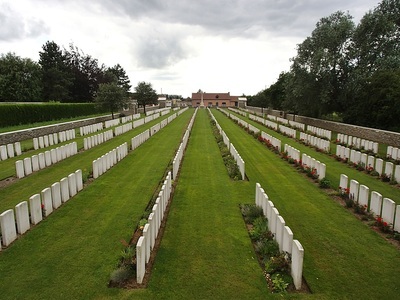 Rue-David Military Cemetery lies to the south-east of the village. Leave Fleurbaix heading towards Armentieres, 300 metres from the centre of Fleurbaix turn right towards Bois Grenier. 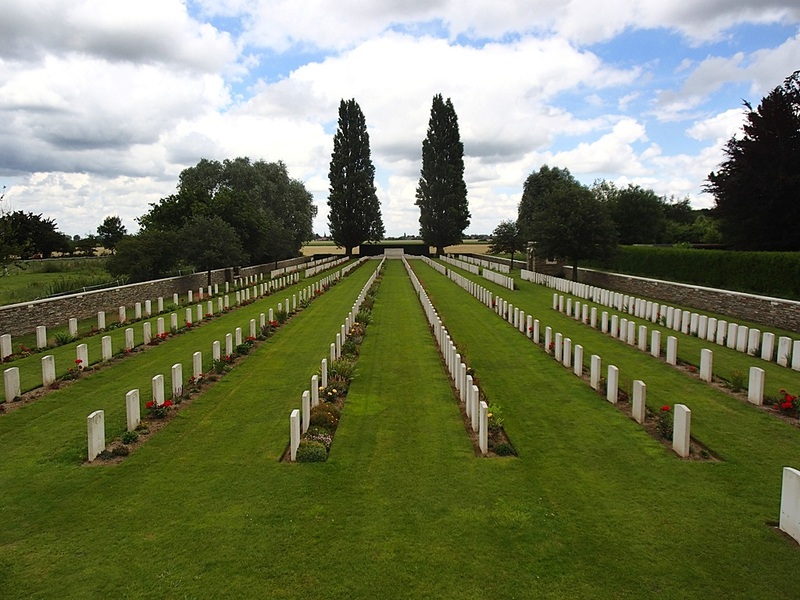 After a further 1 kilometre turn right again, follow the road round a sharp left hand bend, and the Cemetery is approximately 500 metres further on. 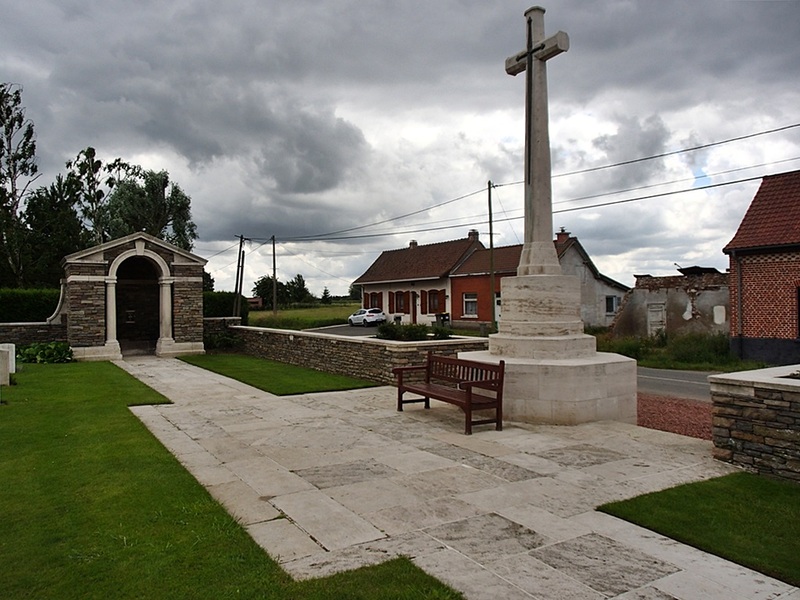 "Rue-David" (or "Rue-des-Davids") is the local name of the road running between La Croix-Marechal and La Boutillerie. 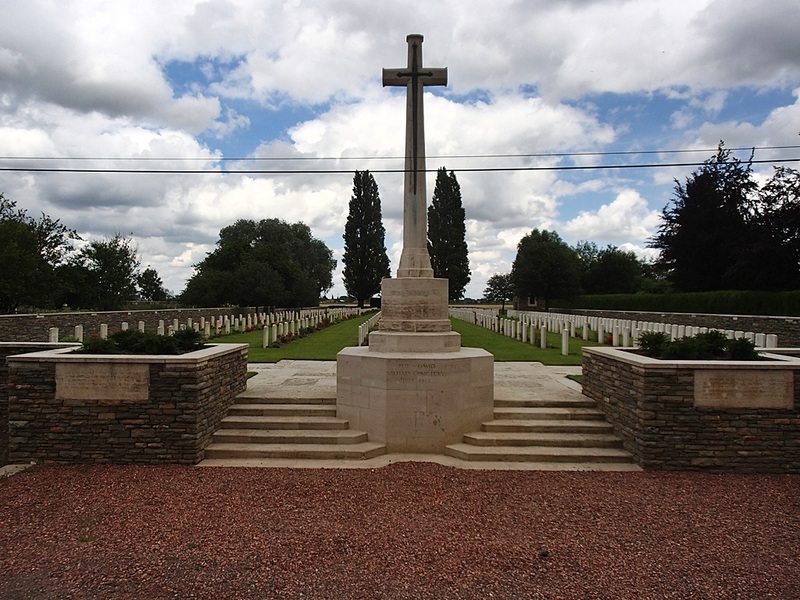 The cemetery was begun by the 2nd Royal Scots Fusiliers in December 1914 and closed to Commonwealth burials in December 1917. 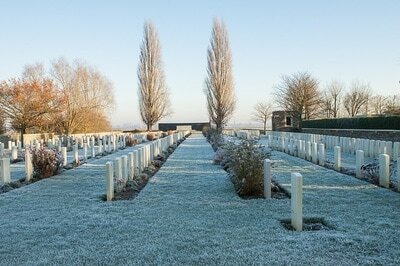 At the Armistice it comprised Rows A to F and part of G of the present Plot I and contained 220 graves. The cemetery was greatly enlarged after the Armistice when graves were brought in mainly from the neighbourhood of Aubers and Fromelles, including those of many of the 1st Middlesex who died at the end of October 1914, and of the 5th Australian and 61st (South Midland) Divisions who died in July 1916. 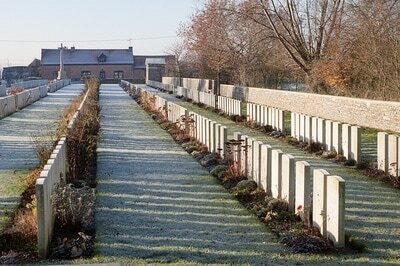 ABBEY WALL CEMETERY, LA BOUTILLERIE, FLEURBAIX, under the North wall of the ruined Chartreux Abbey. 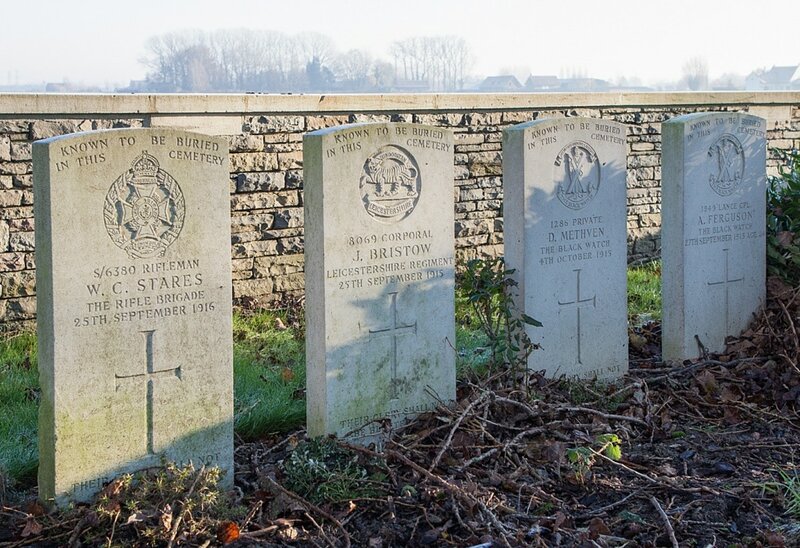 Here were buried 60 soldiers from the United Kingdom (including 46 of the 1st Middlesex who fell in October and November 1914), five from Canada and five from Australia. CROIX-MARECHAL MILITARY CEMETERY, FLEURBAIX, at the cross-roads known as La Croix-Marechal. 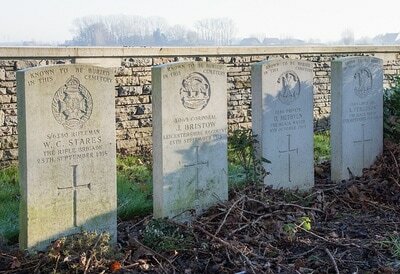 Here were buried 27 soldiers from the United Kingdom and one from Australia, who fell in 1914-16, and October 1918. ORCHARD OF SMITH'S VILLA, FLEURBAIX, at the cross roads nearly 1.6 kilometres West of Bois-Grenier, where twelve men of the 1st South Staffords were buried early in 1915. PONT-DE-LA-LYS INDIAN CEMETERY, ESTAIRES, by the bridge between Estaires and La Gorgue, where 34 Indian soldiers were buried in 1914-15. SAINGHIN-EN-WEPPES CHURCHYARD, where 15 soldiers from the United Kingdom were buried. SAINGHIN-EN-WEPPES COMMUNAL CEMETERY, where 24 soldiers from the United Kingdom, who fell in October 1914 - January 1915, were buried. 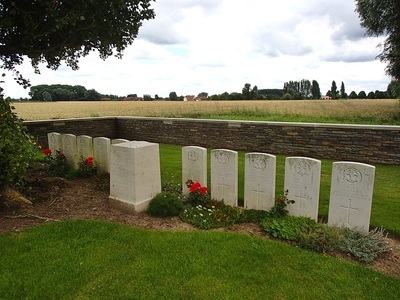 WANGERIE POST OLD MILITARY CEMETERY, LAVENTIE, on the road from the Rue-du-Bacquerot to Aubers, a little South of Wangerie Farm. (The New Military Cemetery was smaller, and closer to the Farm.) 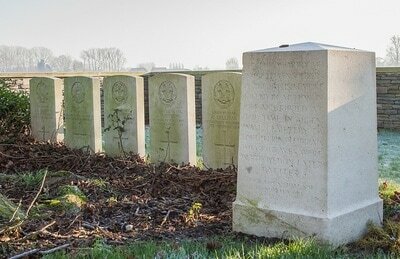 It contained the graves of 39 soldiers from the United Kingdom who fell in October 1914 and April 1916; and it was used by the Portuguese Corps in 1917. 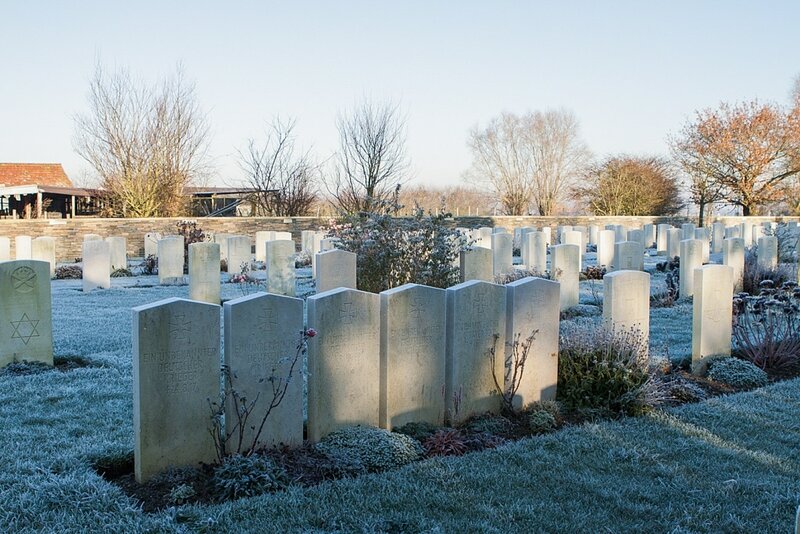 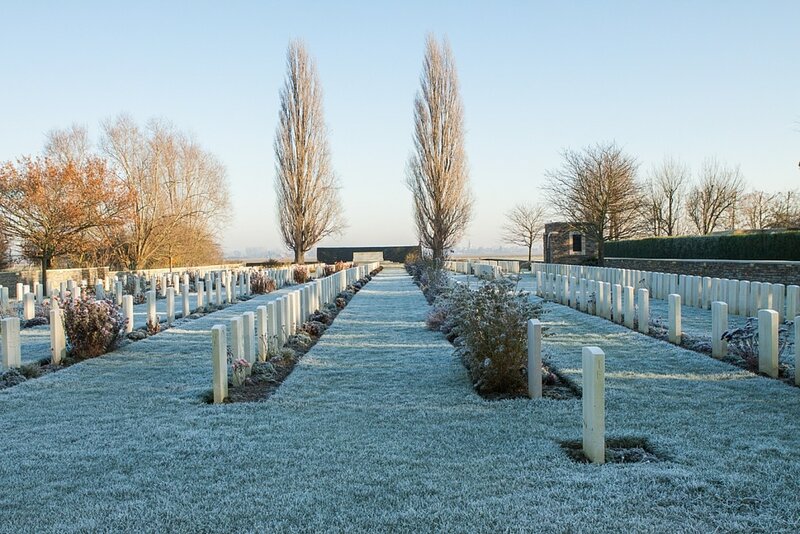 There are now 898 Commonwealth burials and commemorations of the First World War in the cemetery. 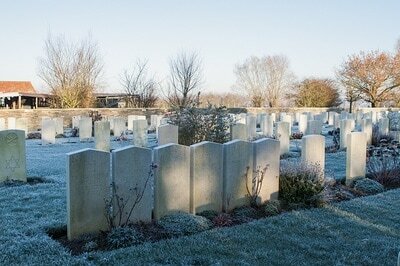 429 of the burials are unidentified but there are special memorials to four casualties known to be buried among them. 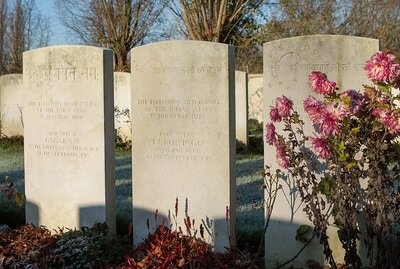 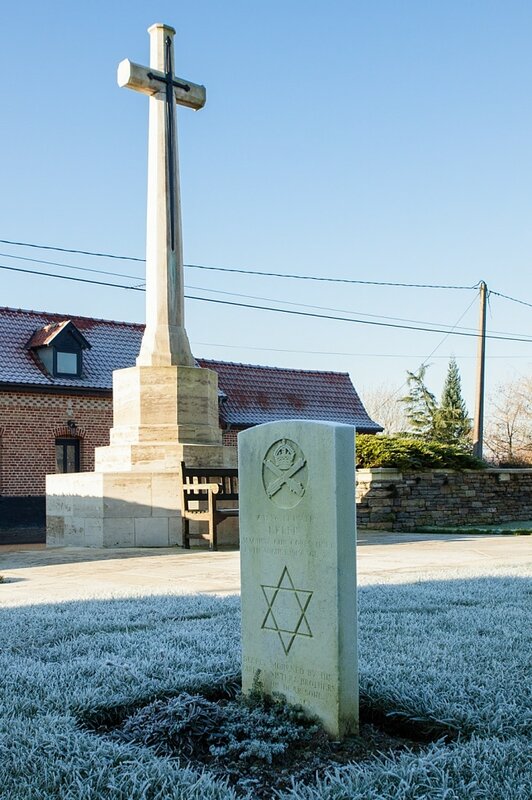 Other special memorials commemorate 11 casualties buried in Abbey Wall Cemetery, La Boutillerie, whose graves were destroyed by shell fire, and six men of the Indian forces. The cemetery also contains ten German graves. 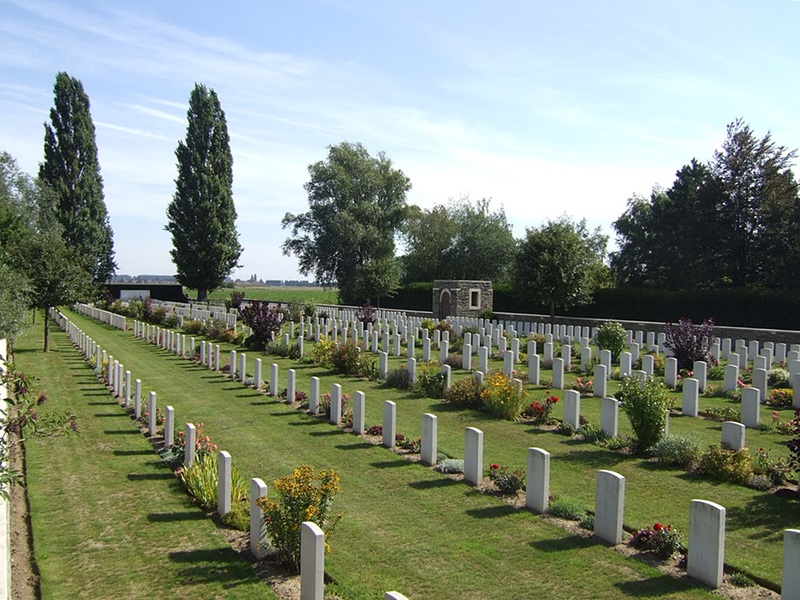 Casualty Details: UK 472, Canada 10, Australia 353, New Zealand 18, India 44, Germany 10, Total Burials: 997.